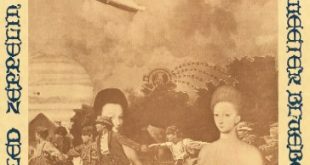 There were rumblings late last year concerning a previously unheard Led Zeppelin recording that would soon see the light of day thanks to a group known as the Rescued Recordings from the Glasgow Apollo. 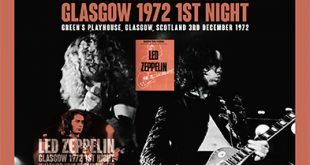 They managed to locate a taper who recorded Led Zeppelin at Green’s Playhouse in 1972 and The Who at Celtic Park in 1976, both of which did not have prior recordings that circulated. Thankfully for music fans worldwide, these concerts were offered freely on a well know torrent tracker and Voila!, several new Zeppelin titles are out. A bit of information surfaced concerning this recording I thought was interesting and worth sharing, “About the new shows folks! Robert Grant told me he recorded the 1972 shows with just a tape recorder. In 1973 he also used a mic, and why the 1973 recordings are better! The Led Zeppelin is the best of the 1972 recordings, and for a strange reason is up there with the 1973 recordings!” It does sound like there were some issues with the original tape as some work was done prior to its releasing to the masses, this is from the original torrent: Taper transferred from original cassette to digital, Damaged low level right channel replaced with superior left channel. So how does this new release from EV compare? Well first off the original is a good yet boomy, clear and detailed recording with some hiss and the bass frequencies being a bit muddy as one would expect. The balance of instruments and vocals is quite nice, Robert’s vocals are clear and up front in the mix making for an easy listen, only drawback is the sound levels are low and you had to turn it up to get a good listen. Empress Valley has boosted the volume a bit and while there is still hiss present, some has certainly been removed. While in my opinion the levels are just a tad too high, it does sound really good and certainly easier to enjoy than the original. Sadly there is some static interjected, first at the beginning of the tape, then again 4 seconds at the beginning of Misty Mountain Hop and there seems to be a few sporadic pops throughout the recording. Plant has microphone issues during the beginning of Rock And Roll but once they are fixed one can gather he is in good voice and seems to be perfecting his less forceful approach, the instrumental Zeppelin is in fine shape. After the first two concerts of the tour in Newcastle, Page has warmed in quickly and the rhythm section is powerful. Plant’s speech prior to Black Dog has him telling the audience how happy they are to finally be playing Glasgow, it sounds like an intimate venue as he has an instant dialog with someone close to the stage. Black Dog itself is really good, Page’s playing is spot on and nails his leads effortlessly. Misty Mountain Hop has the usual introduction about a walk through the park and meeting the wrong people, as soon as Jones starts the song the audience recognize it and clap along. The song is a playful romp through the grass on a summer day then Page hits us with the intro to Since I’ve Been Loving and just levels the place. The crowd is so quiet you could here a pin drop, at times Plant’s vocals sound almost like a whisper then quite forceful, high drama! This is certainly one of the most powerful versions of Dancing Days I have heard, the band just nail it and sounds heavy, Robert singing “Rock it..Rock it”, the crowd agrees as well since they were just hearing this for the first time. Some crazy punter is screaming for Gallows Pole prior to Bron-Y-Aur Stomp, the band is getting loose, the audience is getting looser. After being bowled over by The Song Remains The Same, the contrast of The Rain Song is soothing, one can hear Page strumming the double neck and made me think the taper was in close position to the stage, the heavy portion of the song sounds slow and methodical. Dazed and Confused clocks in at under 28 minutes and prior to its starting Plant tells a punter to shut up and gets a huge ovation for doing so. There is an embryonic version of San Francisco here, like the night before in Newcastle, Plant sings a snippet of Neil Young’s Cowgirl In The Sand. The band break into an instrumental version of The Crunge post bow solo, Bonham stops the band and starts the funky drum pattern, Jones follows and finally Page enters, the funkified Zeppelin draws in Robert at the end with “what about James Brown”. At times very cohesive, at times the spontaneity of the band’s improvisation keeps us on our toes and typical with 1972 versions of Dazed And Confused, always entertaining. 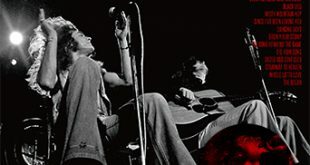 There is an intimacy achieved in the venue of 3,500 strong, they seem in direct communication with the band between songs yet quiet down and intently listen to the music, Stairway To Heaven is a culmination of this relationship, the instrumental Led Zeppelin not only provides the foundation but pushes Page in his solo as they hit the note. Whole Lotta Love kills it, the band are in a joyous mood and Plant’s vocals seem happy as he sings “I need you, you, you”. Page is like greased lightning in the transition from Everybody Needs Somebody To Love into Whole Lotta Love into Let That Boy Boogie. The medley is strong on Elvis, Let’s Have A Party, That’s Alright Mama, and Heartbreak Hotel, the latter featuring some tape issues from 14:36 to 16:06 possible to a tape change or damage of some sort. No worries as this is the point where Page was doing a slow blues and while it goes from garbled to clear then back, it could be worse. Plant is keeping the band on their toes, after Let’s Have A Party it sounds like he is going into Heartbreak Hotel then quickly starts singing That’s Alright Mama, the band have no choice to follow. Going Down Slow and Shape I’m In are the two slow blues numbers that lead you back into a joyous Whole Lotta Love finale that leaves the crowd demanding “WE WANT MORE…WE WANT MORE…” that seems to go on for close to five minutes ‘til the band returns to the stage. “Good Evening…” leads into a storming version of Immigrant Song, Plant’s voice is not strong enough to hit the songs trademark wails and he does not force it either. Page’s fingers are nimble and the bass frequencies really distort on this making for a very heavy sounding version. A superb version of Heartbreaker follows on its heels, shades of previous victories. During Page’s solo break where he does his bit of picking he gets into Bo Diddly’s Mona, Plant will not be bested and starts singing the song proper, after a minute of that Page gets into a bit of Diddly’s Pretty Thing before segueing back into Bouree and ultimately Heartbreaker. The chants of “WE WANT MORE…WE WANT MORE…” begin as soon as the band leaves the stage, the audience are determined and the cheering goes on for over five minutes changing to “Zeppelin…Zeppelin…Zeppelin”. Needless to say when the band return they are greeted like conquering heroes, John Bonham starts things off with a few drum beats to entertain the crowd and John Paul Jones gets the organ fired up by playing what sounds like a brief Traditional Scottish piece. Thank You is the final song and is a most heartfelt version, the band is obviously inspired by the warm reception from Glasgow and this is reflected in a strong performance from the band. 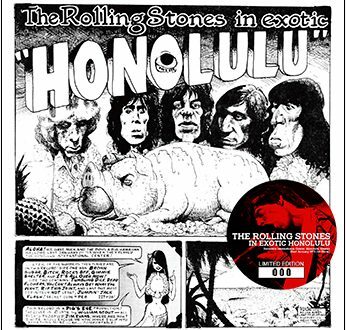 The recording from the second night in Glasgow has been in circulation for some time, like many of the 1972 Winter UK tour recordings, has been largely ignored by the boot companies who seem to favor the January and March 1973 recordings. 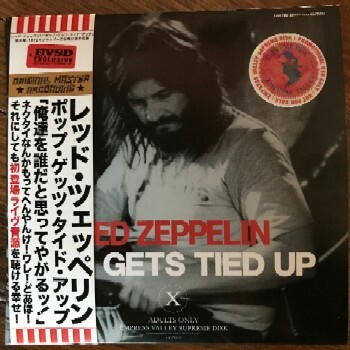 This recording has only seen one prior release, the 1997 The Diagrams of Led Zeppelin label title Stuck On You (TDOLZ-030). The title is long out of print and I never really searched out a copy as descriptions seem to label this recording as a rough listen. The sound is more distant than the previous night and is thin sounding but clear enough and by the time the band are into Over The Hills And Far Away, quite enjoyable. There is noticeable hiss and the vocals and guitar are clear in the mix, the bass is less defined and the drums are lowest in the mix but barley audible. As I do not have the old TDOLZ, I have no way to compare this version to that one. What a day can do, the audience is far more boisterous than the previous night although this could be attributed to the taper being farther back. After playing a really great concert the previous night, they take it even higher for the second concert. Page has taken his playing to the next level and the band storms through the opening section of songs, Black Dog is just spectacular, Jimmy seems to weave riff and solo and back to riff so effortlessly, seemingly channeling divine inspiration. Even Plant’s dedication to the (Grand) Central Hotel is greeted with a huge ovation, the band are drowned out in the recording by the clapping during the beginning of Misty Mountain Hop. Dancing Days is another impressive version, it seems like this song peaked as a live track in these December concerts with the group playing very tight versions of it. Like the previous evening, Plant tells the audience to shut up and he proceed to give Bron-Y-Aur Stomp a nice introduction, the audience get into the song and clap along hoedown style. “This is a song that really encompasses everywhere that we’ve ever been. It’s called The Covney…no this is another track off the new album called The Song Remains The Same”, when I first heard this introduction I thought he said The Campaign as it was introduced in Japan, after listening again it is certainly not. Gerard referenced beeping noises at the 2:50 mark, I detected none here, the song cuts sharply at the 5:32 mark cutting the end of the song, it does not sound like anything is missing on Rain Song, if there is it’s just seconds. Dazed And Confused is quite similar to the previous evening, Plant injects Neil’s Cowgirl In The Sand again, the group seem to be working intently on adding the San Francisco portion to the song, they are getting close and within a few weeks time they would play the complete version at the Alexandria Palace gigs. The band seem more focused than the previous night, Page seemingly taken what he learned from that version and applying it here with easier transitions from segment to segment. 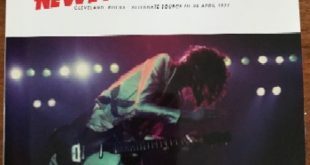 Plant gives commentary about the press prior to Stairway To Heaven, “what the Melody Maker Chris Charles wrote and I read it, “A popular and obviously brain dead”. Thank you very much.” He then introduces the song to a huge ovation and the crowd goes dead quiet as the band play their anthem. The sound quality does drop a notch for Stairway to the end of the show, this also reduces the distortion and makes for slightly clearer sound, cool because we can hear some really tasty bass licks from John Paul Jones during the jam that evolves into Everybody Needs Somebody To Love. The Whole Lotta Love medley picks right up from the previous evening, the band dig a bit deeper and play a killer version of the Elvis classic Stuck On You (hence the title of the TDOLZ boot) and then get into the great slow blues of I Can’t Quit You that is far more effective than Going Down Slow, Page just rips solo on top of solo, Plant is so impressed he tells the audience “Jimmy Page…Jimmy Page” to a huge ovation. Shades of 1969! Heartbreaker is the only existing encore although eyewitness reports state Immigrant Song and Communication Breakdown were also played. The version of Heartbreaker is another ball buster and a superb way to end this recording. The packaging is simple gate-fold style sleeve, John Bonham graces the cover. The rear is a shot of Page and Plant while the center spread is Page, Plant, and Jones, this is all highlighted by an OBI declaring an “EVSD Exclusive”. I really enjoyed both of these concerts, both are worth hearing and certainly worth repeated listening’s as they seem to bridge the brilliant USA summer tour to the equally brilliant European 1973 trek. While this release’s strong points are coupling both of the Green’s Playhouse dates together, I think the mastering of the first night is good, but could have been better. Perhaps if they amplified it to be similar in levels to the second night and addressed the static and pops I would have been more impressed. With both Graf Zeppelin and No Label currently releasing their versions of this concert, collectors have options on how to obtain this recording. Now all I have to do is decide on whether I want to invest in another title.